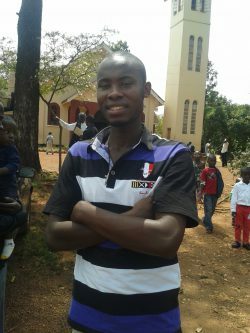 Athanasios originally secured a place at Kampala International University two years ago to study for a Bachelor’s Degree in Information Technology, but had no access to funding other than through the Bishop Spartas Trust. He has waited with great patience, and when we told him we would be able to fund him for the coming year at least, he wrote: ‘All this time I have been waiting for this moment and I think it’s the time for some of my dreams. Someone told me that poors don’t have dreams, but I didn’t believe that, because God cares. Am really very happy for whatever you’re doing for me plus the trustees and Bishop Spartas Trust. MAY GOD REWARD YOU ALL ABUNDANTLY.’ Athanasios’ first semester will begin on 24th August 2017 and we look forward to updating you on his progress.